cat eyes & skinny jeans: Dial Like It's Going Out of Style! Darlings do you recall those “around the world” activities our beloved second grade teachers thought up to help us learn more about different cultures? The ones wherein we would pack a precious stuffed animal away into a cardboard box, and send it off to a classroom in some far-off country, where it would spend a month or two with a different group of grabby second graders, before being returned to us along with a petite journal describing all of the overseas adventures experienced by the creature in question. I remember those projects as if they were completed just yesterday; thus the reason I immediately thought of such elementary undertakings the moment I received the e-mail from Shira at WOM World/Nokia asking me if I would be so kind as to welcome the Nokia N97 Mini into my tech-savvy existence for two weeks to try out the fabulous phone known for its ability to combine style, communication, and technology into one pocket-sized package. Despite the fact that my handbag is already home to a beloved BlackBerry and perky pink 16GB iPod Nano, not to mention more tubes of lip gloss than any sane person could possibly need, the offer of having the opportunity to try out such a fantastic new product was truly too great to refuse – therefore, I didn’t; and I could not be more pleased with my decision! While Mini is not nearly as mini as her title led me to believe, her multifaceted characteristics more than make up for her size – which is, mind you, in no way bulky or cumbersome. Harboring the ability to work as a touchscreen device a la the iPhone, or via a QWERTY keypad featuring a tilted screen that reduces the “glare” problem often encountered by the typical cell phone accessory which features a screen that lies flat; Mini is truly a magical gadget with a home screen that caters to your most frequented themes – a personalization that makes navigation to your favorite widgets (i.e. Facebook and e-mail) an absolute cinch! But I digress; as a loyal BlackBerry user (I’ve yet to try the iPhone myself), I do find that navigating the World Wide Web with my BB is a far simpler and more enjoyable experience than with the Mini. Nevertheless, it is an adorable little device; and the fact that it retains the ability to cater to either preference of the user – be it QWERTY or touchscreen – is quite an appealing factor that would unquestionably play into one’s final decision before purchase. Here’s a bit of advice, lovers…dial like it’s going out of style! Tell me kitty cats, what type of phone do you call your own? Better yet, what type of phone do you wish you could call your own? Thanks to Mail2Web, GSM Arena, and Tech2 for the pictures. I used to be addicted of phones way back when I was single. Seems like I had the latest phones but not anymore. I'm glad though hubby surprised me and gave me a touchscreen Samsung phone. Love those phones btw, my dear! I would love to have that new Nokia,lucky you!Have a fab day! Just got the Droid and I love it! I like to have a new iPhone! 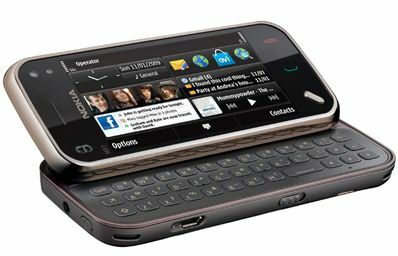 I have the sprint instinct, but would love to have a phone with a flip keyboard! haha you're full purse sounds like mine! ;) i'm a iphone fan! Looks like a great phone, but I'm addicted to the Crackberry! We've parted ways since it died on me and I refuse to renew my 2 year contract with Sprint, but I hope to be reunited again in June. And though I like the iPhone, I don't think I'd ever favor it over my beloved BB. Its beautiful! But it would be so hard to get used too..I'm sure I could do it. Cute phone! Having had Nokias before I know they offer high quality. :) That said, I'm a Crackberry user now. Maybe an iPhone next. I know, gasp! Omg this phone looks fabulous. I wish I had a cool phone!! Sigh. I'm a blackberry girl, but I love your review! I have a samsung vu, or at least I had one, then I broke it, then got the "upgrade" to a vu. It's nice...but I would trade it for a BB anyday! I don't think anything could tear me away from my beloved iPhone! I'm such a nerd I always felt bad for those stuffed animals...I always worried that their parents would miss them. I have my sights set on a purple blackberry, yes please. I wish that was my phone. its adorable. I'm all about electronics that aren't super small or I'd never be able to fish them out of my bag. Your story about the traveling teddy is too cute. I wish my students were old enough to do that!! Sounds like a great phone! I'll definitely have to check it out in person since it's (thankfully) time to upgrade! I really would like a new phone, my phone is functional but not my favorite. I would love to have an Iphone!! It looks like a cute phone. 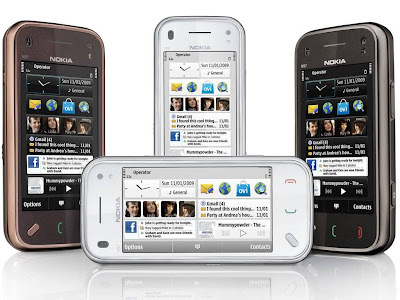 I'm addicted to Nokia phones. I just bought the X6 and it is amazing! Nokia's world of music is definitely one to rival itunes. Great review, Erika! I am waiting for the i-phone to come over to Verizon. Then I will buy that! I just love my Apple products too much to get any other smart phone! I'm not sure I could give up my iPhone. It does everything for me. i love nokia phones they're so great! im not sure which phone im gonna upgrade to next.. im on at&t so iphone is all the rage! this sounds pretty good, but I've alwayssss wanted a blackberry... if only I could stop spending money on clothes and save up for one! haha! Damn I need a new phone.. all mine does is make calls and texts hahaha. I'd love an iPhone so I could blog on the go! have an LOvely weekend. and HappY easter darling you! 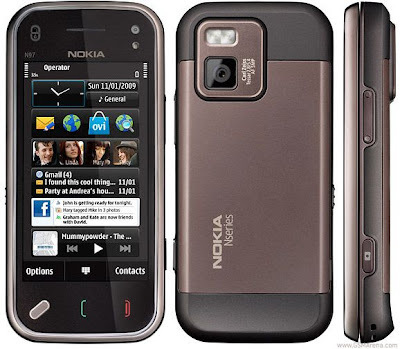 This Nokia is a great prize you're giving away! I'm an iphone girl...that being said it's so ridiculously addicting that I swear my boyfriend and I no longer talk to each other when we are out at restaurants because we're to busy playing with the phone! It's not healthy! oh my gosh that is such a cute project idea!! totally remembering that for when i'm a teacher! I've been having some serious phone issues lately and have reverted back to my ancient flip phone from freshman year in high school... Old, but certainly reliable! I'd absolutely LOVE a BlackBerry, though. I don't really have a favorite type of phone, but I recal being obssesed with having the latest style a year or two ago, I gues now I would want an iphone...emm, don't really need one. I am satisfied. I don't really have a favorite type of phone, but I recall being obssesed with having the latest style a year or two ago, I gues now I would want an iphone...emm, don't really need one. I am satisfied. you know, I adore my simple year 2000 advance level phone but the more I see this phone in reviews, the more fond I'm growing of it. I have it in white, it's amazing! I am an iphone user and I simply cannot be without it! A little unhealthy I know but it keeps me in touch with everything! I have a LG shine and I hate it. I want either an iphone or a droid! Now i own an awesome black LG but I'm going to buy my first Blackberry very soon, yeeey :) And I love your review! Cool review Erika! I like how this phone gives you the option to use either touch or qwerty keyboard, that's such a nice feature to have.